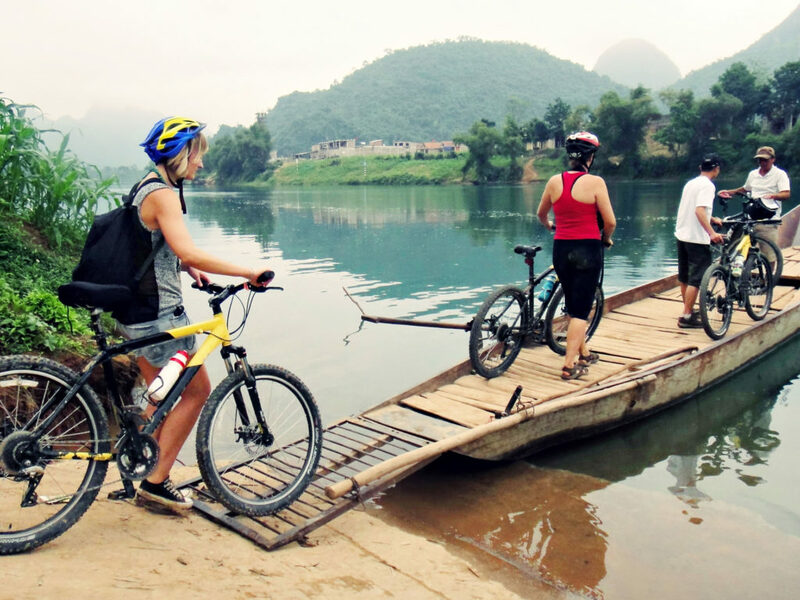 Excellent mountain-biking tours with the irrepressible Private Shi and his gang – a local guide that has been devoting his young adult life toward building cultural and historical bicycle tours in the region of central Vietnam. Options include biking sections of the famous Ho Chi Minh Trail, roaming around local villages and eating authentic rural Vietnamese food. Take yourself there by bicycle with a map. 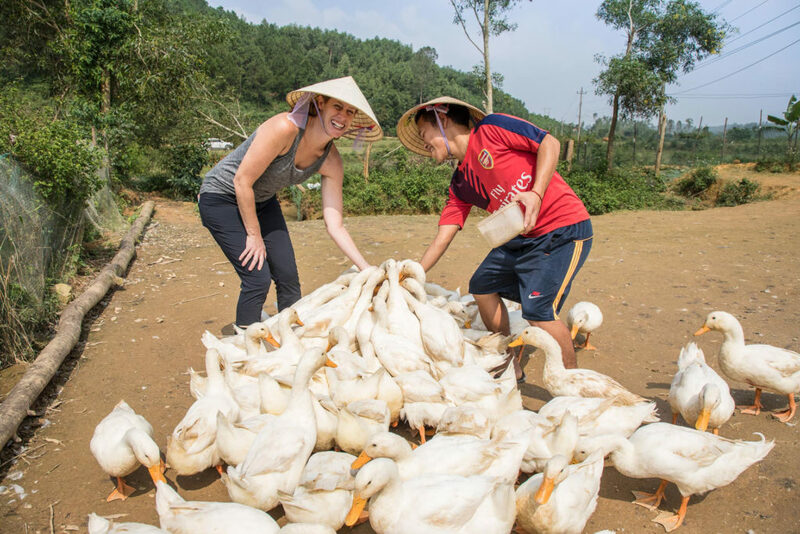 Quynh, a young village boy from Bong Lai Valley, and the rest of his family offer a very unique and quite peculiar approach to rural tourism and farming experiences. Take a leap and go for a fun afternoon on his farm to experience what he calls “his childhood lifestyle”. This tour consists on tending his ducks and his water buffalo which was part of a daily routine for children supporting their family in the area. Proudly Tripadvisors number 1 of “things to do in the area,” yes, even above the worlds’s biggest cave. Stop there on your way back from the “Pub with Cold Beer” for a last bit of refreshment and feed the ducks or ride Donald Trump, the 1 tonne water buffalo for some great photos! They also serve some snacks, peanuts, etc and learn about and purchase if you like, some famous “Phong Nha Black Pepper” while you are there.